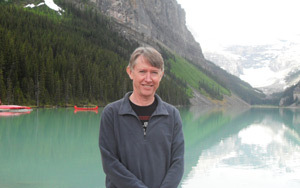 Pannell Discussions » 210 – Under-estimating the costs of environmental protection » Ideas in economics, environment, policy and more. The costs of running effective environmental projects can be very high. In Australia I have observed that we often try to get away with running environmental projects on a shoestring and then are disappointed about the poor results. Unrealistic costing of projects is damaging to the environment and to the community in several ways. An example we’ve looked at in detail is the Gippsland Lakes in eastern Victoria. The Lakes have a serious problem with algae blooms due mainly to nutrients coming from agriculture in the surrounding areas. A group of government departments and government-funded organisations set an official target of reducing nutrient flows into the Lakes by 40% — enough to make a worthwhile difference to the frequency of blooms. Public funding to try to achieve this target varies from year to year but has averaged a few million dollars per year. However, in a detailed analysis published recently (Roberts et al., 2012), we concluded that the cheapest possible combination of strategies that would reduce phosphorus inputs to the Lakes by 40% would cost around $1 billion over the next 25 years, or the equivalent of about $70 million per year – vastly more than the existing budget. Even $70 million understates the full cost because it deals only with phosphorus, whereas the 40% target also applies to nitrogen. It’s also highly likely that a real program would not use the cheapest possible combination of strategies, so the actual cost would be higher again. 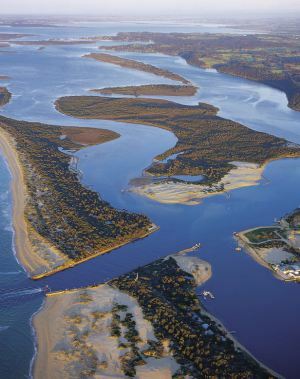 Clearly, the level of funds allocated to the Gippsland Lakes had been determined without any consideration of whether it would be sufficient to achieve the official target. And conversely, the target had been set without considering what would be realistic given the available budget. There are a number of potentially serious problems that flow from this sort of disconnection. Firstly, and most obviously, under-funded projects fail to achieve the objectives set for them. In part, this reflects the failure of environmental organisations to conduct serious feasibility assessments of environmental projects, including economic costing. The sort of feasibility study that is routine in commercial businesses that are contemplating investing in large projects is almost unheard of in government-funded environmental programs. Tragically, the result is that a lot of the money we spend on the environment is not achieving worthwhile environmental benefits. Serious feasibility assessments should be standard requirements in all significant environmental programs. It seems to me that part of what is going on here is an unwillingness to confront the reality that the budgets of environmental programs are often not nearly sufficient to fix all the problems that they are intended to address. People would rather avoid hard questions about budgets and technical feasibility because they expect that the answers will be unpalatable. The result is that we end up investing in many more projects than we can afford to do effectively. By pretending we can achieve more than we really can, we end up achieving much less than we could. A second consequence that flows from failing to get good information about the costs required for a project to be successful is that we choose the wrong projects to invest in. In any sound process for choosing projects, information about the total costs to achieve a particular outcome is an essential consideration. Failure to consider cost information properly can make a major difference to which projects come out looking best – very poor projects can end up looking good. Thirdly, if we try to design environmental projects to fit an inadequate budget, rather than allocating appropriate budgets to well-analysed projects, the common result seems to be that we rely on cheap but inappropriate policy mechanisms. An example of a major program getting this wrong was the National Action Plan for Salinity and Water Quality, which relied heavily on extension (awareness raising, information provision, etc.) and small temporary incentive payments, so that it could reach as many farmers as possible. In most areas, these were fundamentally the wrong policy mechanisms for addressing salinity (Pannell and Roberts, 2010). As a result, enduring benefits from the program were few and far between (Pannell and Roberts, 2010). This use of cheap but ineffective policy mechanisms leads to the fourth problem I’ve identified: it burns up the good will and trust of private citizens whose cooperation and contributions are needed for project success. I’ve observed farmers who previously donated time and resources to environmental programs getting jaded and cynical as a result of the failure of programs like the National Action Plan for Salinity and Water Quality. Of course, the inability of such programs to demonstrate that they are achieving outcomes cost effectively also raises concerns in bodies like the Department of Treasury and Finance and the Australian National Audit Office. Thus there are longer term consequences for future programs, not just the current under-funded programs. Posted on 19 March, 2012 by David Pannell. This entry was posted in Economics, Environment, Latest, Natural resource management, Policy.